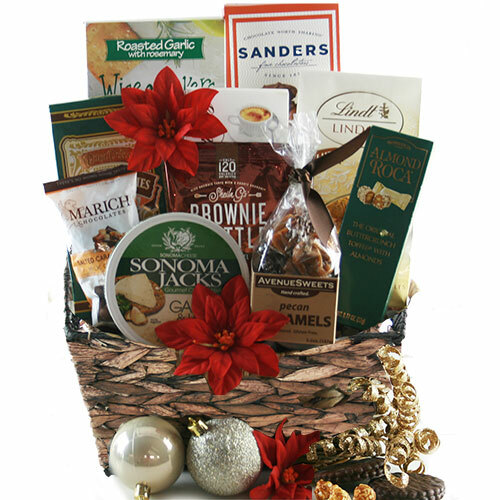 Spread some tasty holiday cheer with this delightful Christmas Gift Basket! It boasts an unparalleled selection of artisan crackers and gourmet cheese paired with metls in your mouth chocolates and truffles. It’s simply the perfect way to make the holiday season bright!